This tutorial consists of 9 pages, 22 steps and 25 clear photographs. 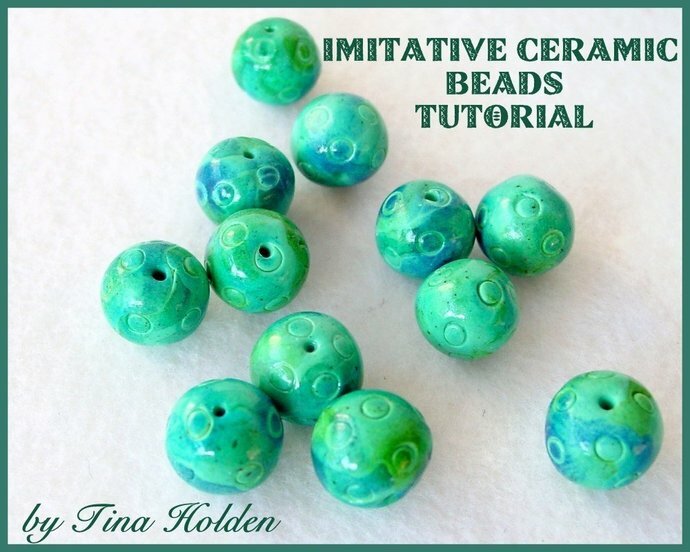 Learn to create beads with an imitative or faux ceramic look and feel, but without a kiln. 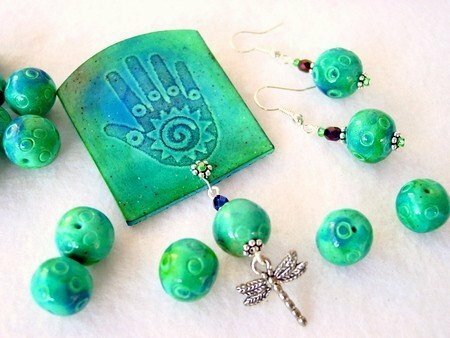 The color goes great with Amazonite and Turquoise and the beads match the 'Friendship Hand pin/pendant tutorial'. 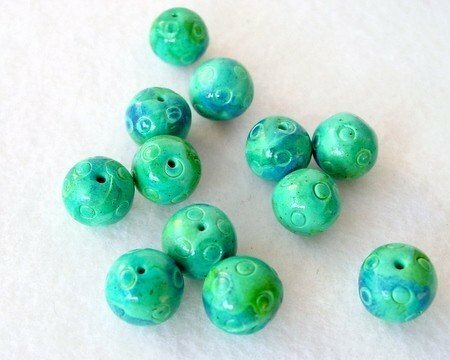 This tutorial is beginner to intermediate. One should have basic experience or know how to condition clay.